Is there a difference between how “modern art” is understood in the west (Euro-America) and Asia? What does “modern art” herald in the Singaporean perspective, and how have definitions evolved since the 1960s? 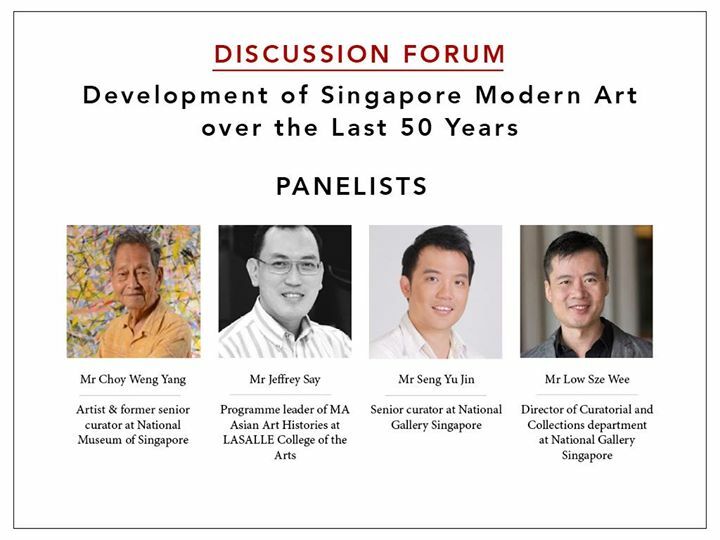 Alongside representatives from several art societies in Singapore, members of the audience will be given the opportunity to raise questions or air their views, in a conversation led by our panellists on the development of the local modern art scene over the last 50 years. We aim to generate fruitful debates and topics about Singapore art, crafting lines of conversation within a wide spectrum of perspectives dispersed across the local arts scene. The entire session will be filmed and used for future research purposes.